Manolis KOLYBADIS has been re-elected to the position of the President of the Greek Table Tennis Federation. KOLYBADIS won by majority; received 44 votes from 53 clubs. George PAPAGEORGIOU had 39 and Konstantinos MAKRAS 38 votes. 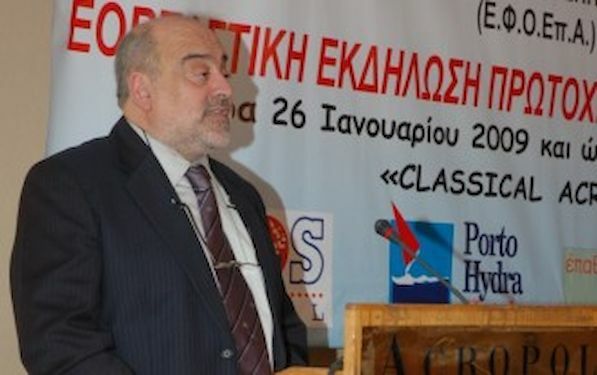 Manolis KOLYBADIS is one of the most experienced official members, considering that since 1982, with the exception of a period of year and the half, he held the position of general secretary E.F.O.EP.A. He had a position of chairman the first time in October 2008. Manolis Kolybadis said after re-election: “In very difficult conditions for the Greek economy, Greek athletics and table tennis my colleagues and I feel that we took a big risk to continue its administrative EFOEPA. The new administration have very difficult task to fight with all its might to keep the sport alive for as long as this unprecedented economic crisis. With unity, with mutual respect and love for the sport will give the responds of our forces to accomplish it”. The federation has a new general secretary and she is the former champion of Greece Katerina SPANOU. Members: George TSOPELAS, Panagiotis KIOUFIS, Christakis KANARIS and Panagiotis TZOVOLOS.